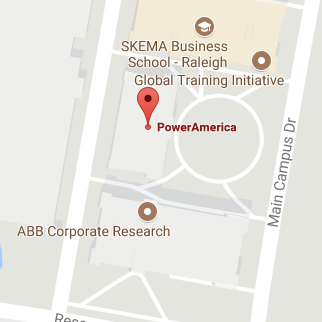 As the name suggests, Member Initiated Projects (MIP) are only available as funding opportunities for PowerAmerica members. MIP’s are a valuable benefit of the Institute, as they establish a process for supporting technology development that is focused on pre-competitive, yet critical needs of the broad WBG community. The purpose of establishing MIP’s is to provide a mechanism for Institute members to collectively identify the highest priority projects that are needed to advance WBG commercialization and to direct resources to address those challenges. These projects will be funded by member dues and other revenue-generating activities that the Institute may perform (no direct federal funding). This initiative was conceived at the outset of the Institute, and now that a sufficient quantity of member dues have been collected, the process can begin. Establishing a member-directed group of activities is in the long-term strategic interest of the Institute. MIP’s provide a direct return to members for the dues they pay. Successful projects are expected to yield tangible results that benefit members. A small working group composed of members will work with PowerAmerica staff to administer the MIP program. For more information regarding the MIP process and how to submit a project click here. Submit any questions using the form below. All questions and corresponding answers will be posted here.